Macao is one of Asia’s must see destinations. Just keep in mind Macao is now Visa FREE for 74 different nationalities, this including Australian and New Zealand Passport holders. Flying directly to Hong Kong International Airport provides the most direct way to access Macao. Depending on which State of Australia you are departing from, carriers that now service this route are Cathay Pacific, Qantas and Hong Kong Airlines. From New Zealand, Cathay Pacific, Air New Zealand and Hong Kong Airlines. Depending on your travel itinerary, Macao is also accessible through most major Asian hubs that provide flights directly into Macao International Airport. The Macao Special Administrative Region is small and compact and is just 30 square kilometres in size. It is made up of three areas the Macao Peninsular and the islands of Taipa and Coloane. Taipa and Coloane over past years have become connected by the reclamation of land for the development of new and experiential “Travel and Tourism” products. This area called the Cotai Strip is now home to some of the largest Integrated Resorts in the world. Macao offers an array of UNESCO World Heritage sites with over 450years of history – renowned as the original meeting place between Europeans and Chinese. English is widely spoken and generally used in trade and tourism. However, Chinese and Portuguese are the official languages, Cantonese being most widely spoken. Macao is one of the few cities in the world that can host a variety travel options for leisure, incentive, meetings or conference and annual themed events from film, fashion and sports. Macao has a rapidly expanding range of activities and attractions that are ideal for partner programs, leisure travellers and families. Macao’s hotels and resorts have something to offer all tastes, budgets and needs. 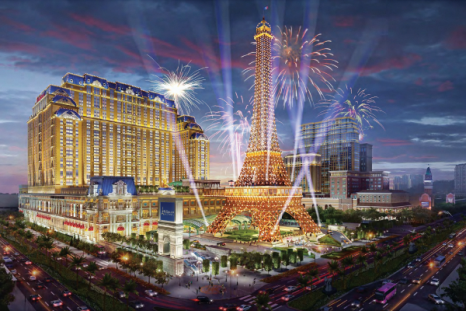 This now includes newly opened hotels such as the Wynn Palace and The Parisian Macao, which join other favourites including (singular hotels) Sofitel Macau at Ponte 16, MGM Macau, Studio City Macao, OR (multi-hotel options) City of Dreams, Sands Cotai Central and Galaxy Mega Resort to name a few. Macao’s nightlife is famous for its variety, its frantic pace and constant change. For night owls this is a city that doesn’t sleep and show time is 24 hours a day – with attractions such as the dramatic “House of the Dancing Water” and “The House of Magic” a must see when in town. Macao is a destination that combines local heritage and cultures with world-class annual events such as the Macao International Fireworks Competition, the Macau Grand Prix, The Latin Parade, Macao International Marathon, which draw international visitors by the numbers. Almost all attractions or places of interest are no more than 15minutes from a visitor or delegate’s hotel. Macao’s compact size makes it easy to move around. 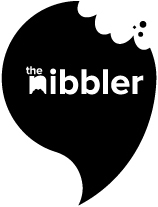 Unusual venues for incentives, themed dinners and gala facilities abound. Macao’s integrated resorts and facilities cater for groups of up to 10,000+ delegates within a single complex which includes anything from meeting and function facilities, multiple hotels across a resort providing a variety of accommodation options to fit a style or budget, different dining options from local cuisine to the fine dining experience, tailored and unique world-class entertainment and shows. Whilst on the Cotai Strip, you will find giant precincts like the City of Dreams, Sands Cotai Central, Galaxy Mega Resort, Studio City and The Parisian Macao which include leading attractions such as the world’s largest wave pool and rapid ride, Universals Batman Dark Flight, the world’s highest Ferris Wheel the Golden Reel or have breakfast with Shrek and the gang at the largest DreamWorks production outside the US. These attractions cannot be found in any neighboring cities. There is no better way to see Macao than by foot. All visitors can download the FREE versions of the “Step Out” Experience Macao Communities, Self-Guided Walking Tours App and really experience the off the beaten track areas and true heart of Macao. Macao is full of history that can easily be used when creating an incentive or rewards program for delegates, their partners and other visitors. It is easy to visit iconic sites such as St Paul’s, Mount Fortress and Macao Museum, A-Ma Temple, Moorish Barracks, Lilau Square, and the Mandarin’s House built in 1869. Join the locals in Tai Chi at the various gardens throughout this city. Macanese food, a fusion of Portuguese, African, Southeast Asian and Chinese, cooking, has been enjoyed by travellers for decades. In recent years, Macao continues to be recognised as one of the world’s culinary destinations – following an influx of internationally renowned restaurant brands from around the world and celebrity chefs that take Macao’s gastronomic scene to new heights. Macao is famous for its cuisine and the quality of the food served. 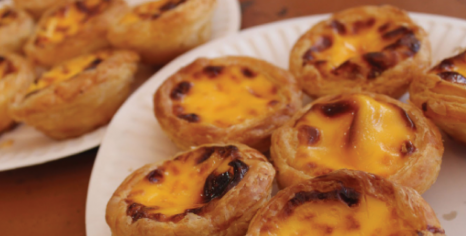 You will find a fine selection of coffee shops in Portuguese style selling delicious pastries and providing the chance to experience a traditional “Macanese Egg Tart”, and coconut cake. Portuguese restaurants are found all over Macao, especially Taipa and Coloane. Visitors can also enjoy some of the world’s largest and most spectacular shows or partake in thrilling AJ Hackett adventure activities such as the Tower Climb, SkywalkX or the tallest commercial Bungy Jump in the world located at the 338metre high Macau Tower. Add health and wellness to the list at one of the largest integrated wellness centre of its kind, the Malo Clinic Spa, all these exciting attractions can be found here in Macao. Macao is located just 60 kilometres from Hong Kong and is a simple 55minute ferry ride with services operating every 15-30minutes from Hong Kong Island and Kowloon to Macao and reverse. Frequent services also operate daily from the Hong Kong International Airport to Macao between 11am to 10pm, meaning travel between both destinations is seamless and easy. When travelling through Hong Kong International Airport to Macao, simply follow the signs overhead to the ferry service counters. It is in the same direction as immigration but simply stay right and will arrive at the desired ferry service check-in desk. Passengers are required to hand over their prearranged ferry vouchers, passports and the boarding passes with baggage tags provided by the airline to claim their tickets. 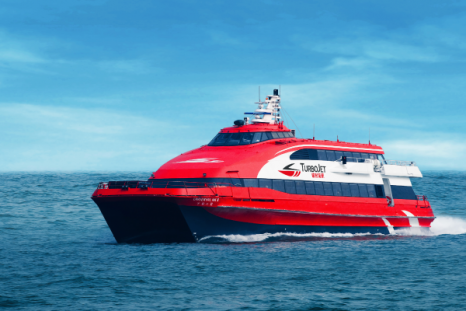 When travelling is small and large groups or business, it is best to prearrange your Ferry tickets so that all passengers and their bags are put on their connection with ease. Stay up to date for the latest events, attractions and self-guided walking tours by downloading your version of the “Experience Macao”, “Step Out, Macao” and “What’s On Macao” mobile Apps for FREE. So whether you are seeking to be pampered at one of the luxurious spas or stay in a ritzy yet affordable resort or hotel, be entertained by world-class performers, or explore the rich culture and history whilst engaged in high adventure activities, be sure to include Macao on your next holiday. Experience Macao – Your Own Style as you are truly spoilt for choice. Getting around Macao has never been easier. Almost all attractions or places of interest being no more than 15 minutes from a visitor or delegate’s arrival point or hotel. Palatial, luxurious, multi-purpose, contemporary, innovative, iconic, heritage listed boutique and beyond compare… These are just a handful of words used to describe Macao’s ever-expanding landscape of hotels.